Joan Sparks is a wonderful musician with great ideas! This past August, right after she premiered my Salon del Astor at the National Flute Association Convention, flutist Joan Sparks spoke with me about what she thought was a need in the repertoire for pieces that were, “playable, sophisticated, and with some of the jazz, pop, and rock idioms” that I tend to incorporate into my concert music. Joan was an early fan of my Miniatures for Flute and Piano (published a few years ago by Alry Publications). It didn’t take long for us to hatch a plan to create a collection of new small pieces for flute and harp. Violá! The New Miniatures for Flute and Harp were born! Read Joan’s blog here! 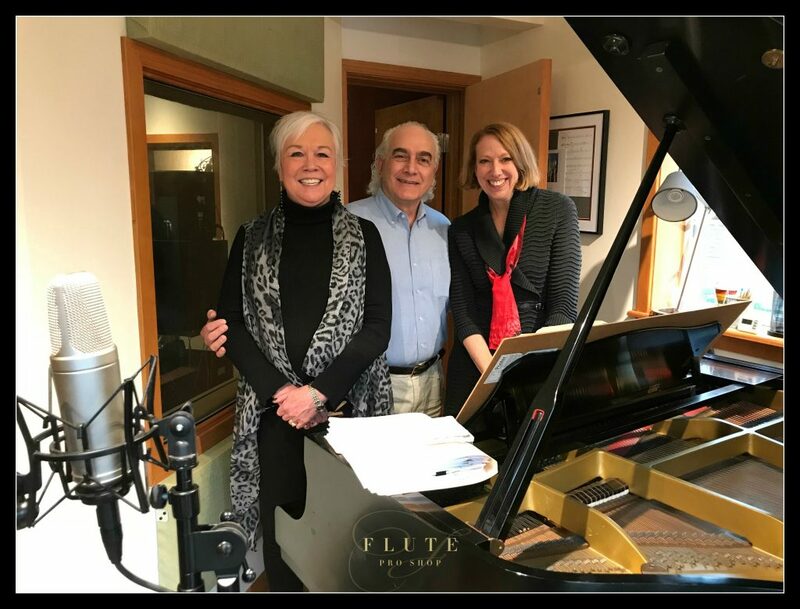 Flutist Joan Sparks, composer Louis Anthony deLise, and harpist, Anne Sullivan in the studio recording the New Flute Miniatures.